The parking lot is slated to give way to two new affordable housing developments with 425 units including 133 for seniors. The Mitchell-Lama Park Lane Apartments at 1965 Lafayette Avenue in the Soundview section of The Bronx is slated to get new neighbors as the City Planning Commission has approved a rezoning of the the site to convert a parking lot and basketball courts into two buildings with 425 units of affordable housing, one of which will be for seniors. 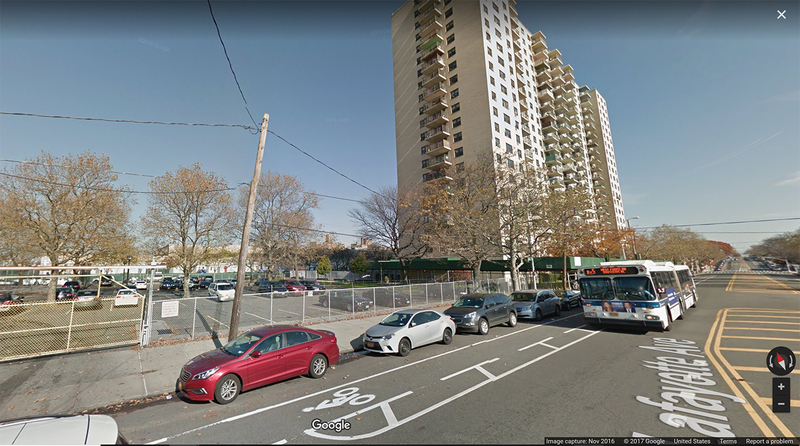 City Land NYC reports that the two buildings will be 14 stories in height with 292 affordable housing units in one and 133 units of affordable housing for seniors in the other with both buildings connecting in the basement with a new 67-space parking garage. The development will also include outdoor recreation as well as a new replacement basketball court and an indoor fitness center. Since this lot will be rezoned under the new Mandatory Inclusionary Housing zoning text mandate, a portion of the units, once constructed, will remain permanently affordable. Depending on which option is chosen by the developer, that can mean that 25% of the units will remain permanently affordable to residents making 60% of the area median income (AMI) (which we know is a lie because it’s always inflated and doesn’t truly reflect the actual immediate area median income) and 10% of units for households making 40% of the AMI. 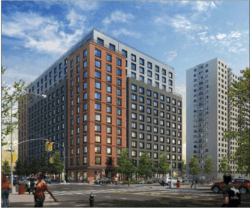 According to City Land NYC, another option would be 30% of the units remaining permanently affordable making 80% of AMI. No exact time frame has been provided for construction and completion of this proposed project.